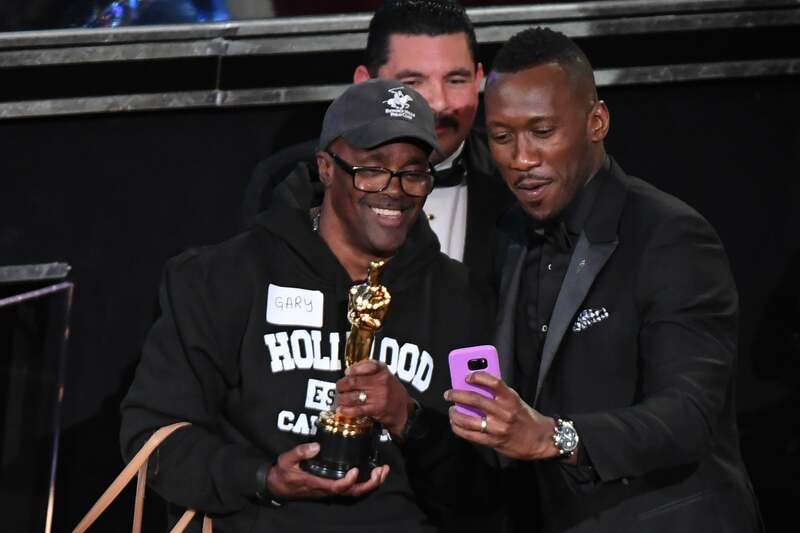 During the 89th annual Academy Awards, some of our favorite stars like Mahershala Ali and Viola Davis took home hardware for their stellar performances in Moonlight and Fences respectively, but the real winner of the night was Hollywood tourist, Gary from Chicago. As a part of a skit by host Jimmy Kimmel, tourists were ushered into the Dolby Theatre under the ruse that they would see Oscar dresses over the years. Much to their surprise, they entered the auditorium during the live broadcast. The tour bus crew was full of varied reactions to stars who filled the room, but the best reaction goes to Gary and his fiancée Vicki. Of course Black Twitter had jokes about the Chicago native’s unapologetic attitude during the awards show (at one point, he jokingly admitted to Kimmel he was ignoring the White celebrities). Rocking a hoodie, shorts, a baseball cap and holding Vicki’s purse while taking pictures on his camera phone, Gary was the star of the show. "Are you ignoring the white actors?" Congratulations to Gary for winning the real award of the night — fan favorite.